After thrilling readers in the pages of Annihilation and Annihilation: Conquest,Starlord,Adam Warlock, Drax, Gamora, Rocket Raccoon, Groot, Mantis, and Phyla-Vell teamed up to form a new version of the Guardians of the Galaxy. The result mixed high octane action with humor and a touch of humanity. Following a betrayal by Starlord, the team broke up and went their separate ways. Adam Warlock and Gamora are off investigating the Universal Church of Truth. 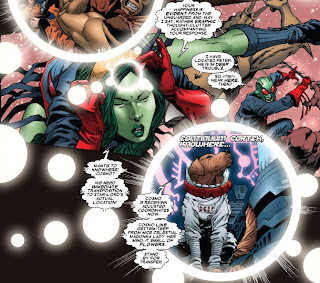 Drax and Phyla are searching for Moondragon. Starlord is trapped in the Negative Zone. The rest of the team continues the good fight, while time continues to unravel after the arrival of two mysterious heroes from the future. Without further delay, let’s pancake this breakfast. 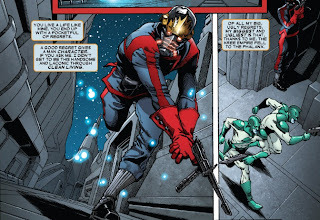 Twenty-four hours ago, Starlord, still feeling guilty about his role in the Phalanx invasion of the Kree, infiltrates Hala to warn them about the Skrull’s secret invasion. He had sent a message to the Kree war-net, but received no answer, so he set out to investigate. 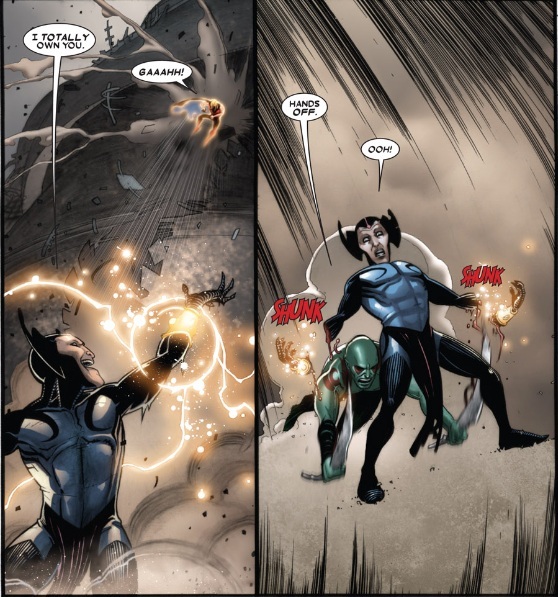 The reason he received no answer is evident when he discovers a Kree Babel Spire powered by the bodies of dead Skrulls. 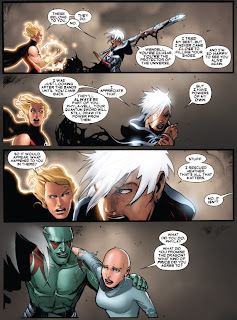 He runs into Ronan, who explains to him that they got his message, but do not need his help to take care of a few Skrulls. 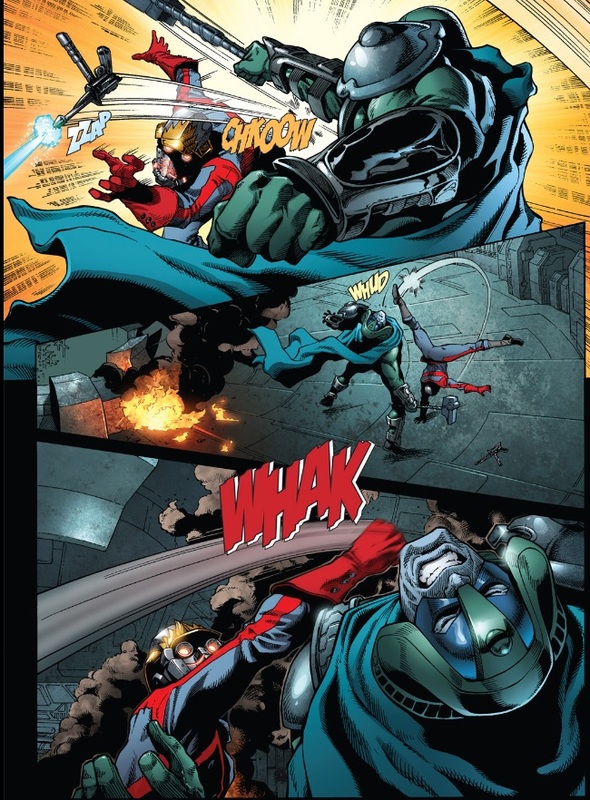 Starlord objects to Ronan’s methods, and the two fight. Starlord holds his own for a few seconds, but is eventually knocked unconscious by Ronan. 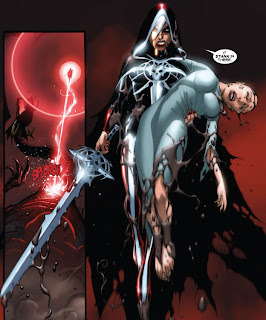 Ronan banishes him from the Kree Empire, and has him tossed into the Negative Zone. Back at the Benthus Colony, the makeshift Guardians of the Galaxy are locked in battle against the Badoon’s bio-engineered weapons. Rocket is starting to appreciate and miss Starlord’s leadership abilities. Groot takes out the giant-sized “monster.” With their main weapon neutralized, the Badoon offer to speak. Rocket offers them only one option, leave immediately, because this world is under their protection. 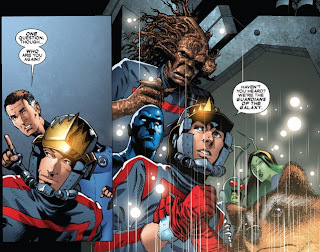 Back in the Negative Zone, Blastaar tells Starlord how he was granted sovereignty by the Kree empire to rule the Negative Zone, and how he plans to make use of Starlord’s military skills. On an outpost controlled by the Universal Church of Truth, Adam Warlock battles against an U.C.T. Cardinal. This time he fares much better, with him able to subdue his opponent. He wants the Cardinal to pass a message along to their Matriarch, requesting a meeting between the two of them. Blastaar reveals his plan to Starlord. He wants him to lead a break-in at the Prison 42 (established after Civil War) located in the Negative Zone, and access the dimensional portal. 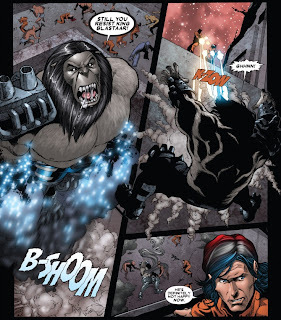 Blastaar is going to invade the Earth. 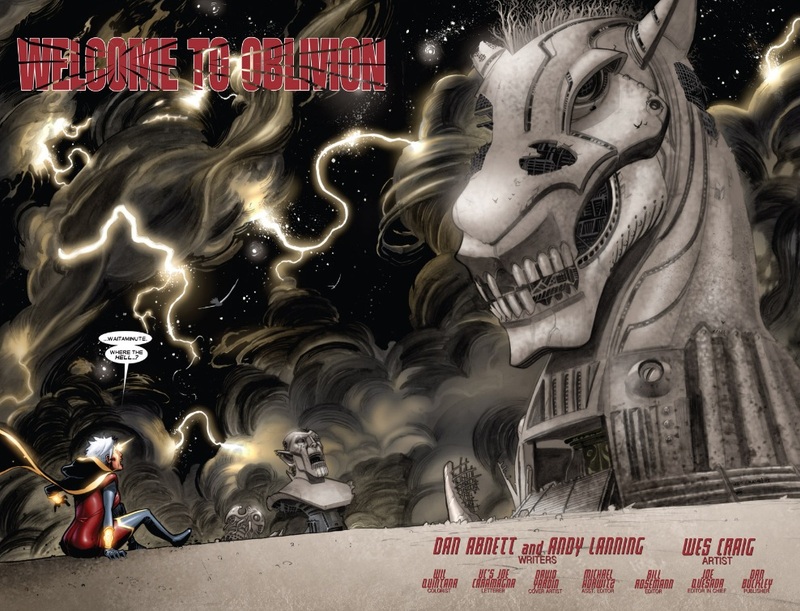 My brain thoughts: Brad Walker takes over as penciler with this issue, and I really like his style. He’s especially good at drawing Starlord in his costume. They’re already planting the seeds for Starlord returning to the team. 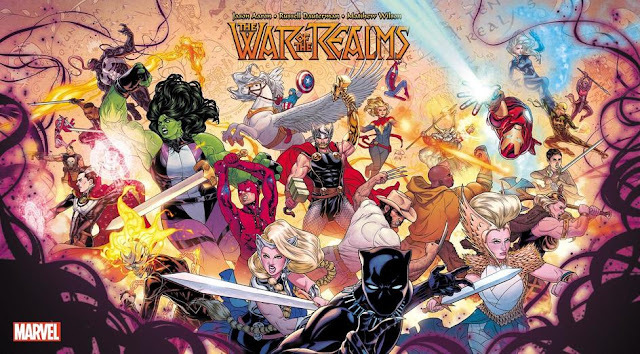 This is billed as a War of Kings tie-in, but other than a few vague references, there is nothing obvious pointing towards the upcoming crossover event, which is a good thing. 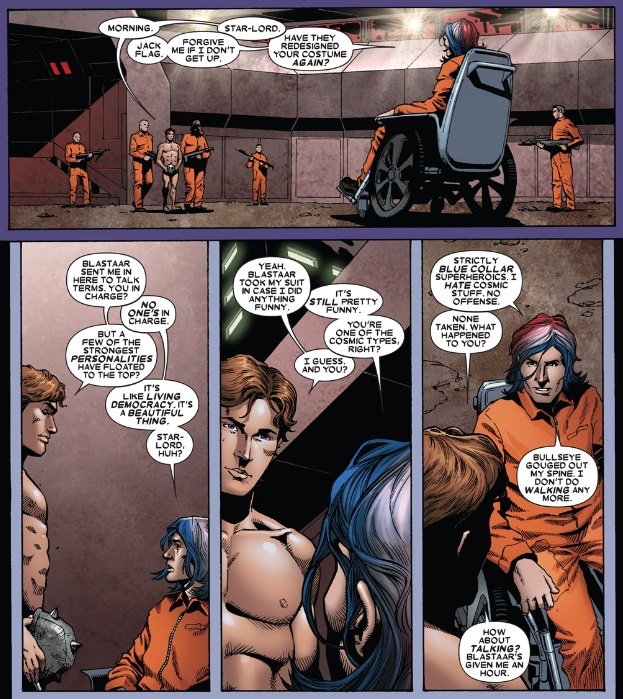 A wheelchaired Jack Flag (crippled and imprisoned by the Thunderbolts for refusing to register with the government following Civil War) leads the prisoners of Prison 42 as they repel the invasion of Blastaar and his forces. Blastaar sends in a naked Peter Quill to convince Jack Flag and his allies to surrender. 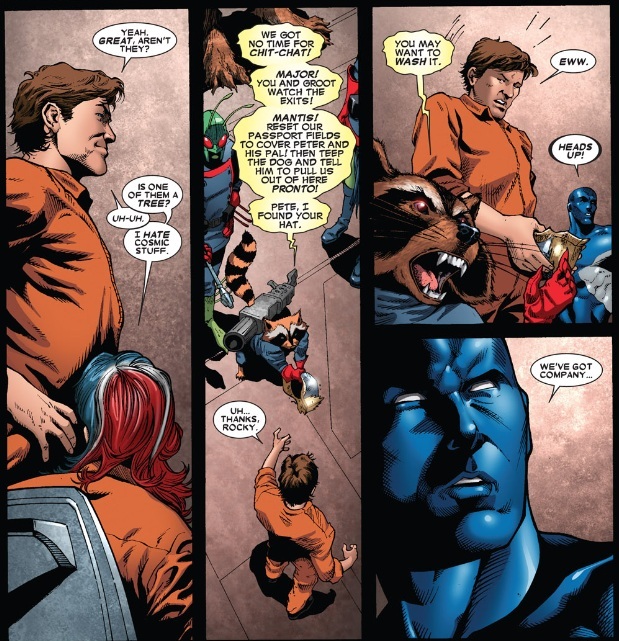 Peter Quill does some reverse negotiating with Condor, Skeleton Ki, G-Man, and Bison, trying to convince them why they shouldn’t surrender and give Blastaar access to the portal. He proposes they contact the Guardians instead, so that they can beam in there and turn the situation around. 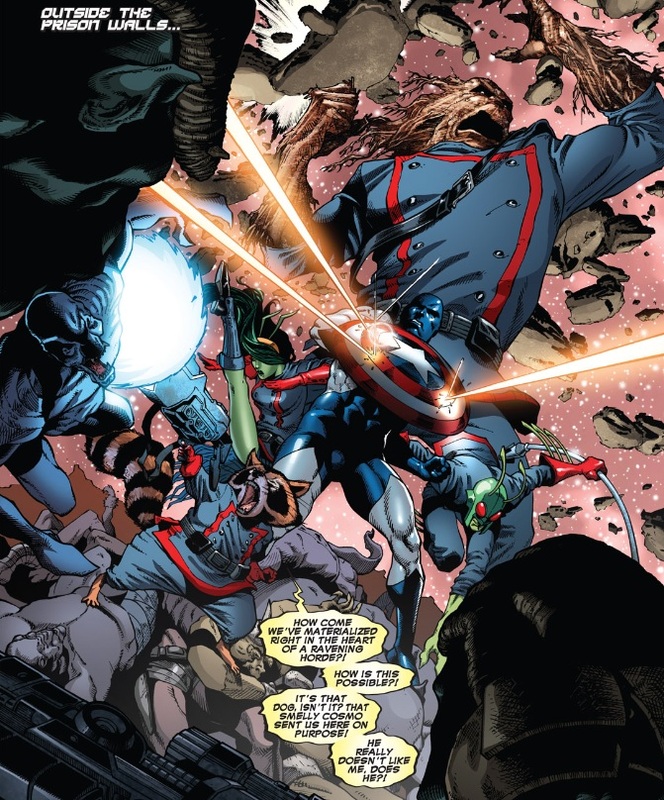 The villains don’t care too much about protecting Earth, so Starlord and Jack Flag are forced to take them all out before they can side with Blastaar. 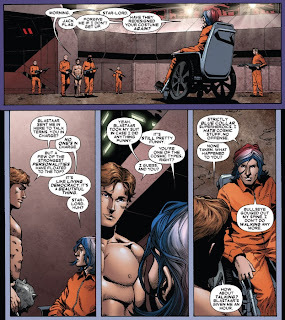 Communications in the prison are down, but Jack Flag takes Starlord to find a telepath. While they do that, Skeleton Ki, afraid for his life, runs out and opens the gates anyway, letting in Blastaar’s forces. 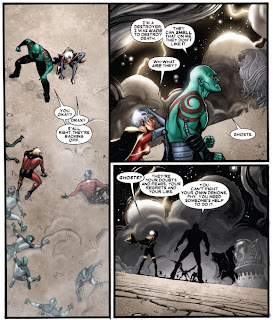 On Titan, Drax and Phyla meet with Father Mentor about the clues pointing to the survival of Moondragon. Mentor believes that the physical transformation she experienced in her last days may have been a metaphysical transformation initiated by the Dragon of the Moon, and that it is possible she may exist somewhere beyond the veil. This prompts him to turn around and blast them both, killing them. Cosmo finds Starlord’s location by tracing his passport signature through the continuum cortex, and the team heads out to rescue him. 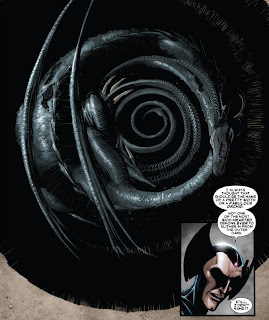 But, instead of teleporting to his direct location, they teleport right into the middle of Blastaar’s army. My brain thoughts: The pages done by the fill-in artist in the second half of the book are not very good. So bad that it was distracting. (On the plus side, Starlord beats Carrion repeatedly for no good reason.) I had forgotten Jack Flag shows up in this series. I legitimately had no idea who he was until I read him getting captured in Warren Ellis’s equally excellent Thunderbolts run. (Seriously, it’s a short but great run. Bendis basically uses the entire premise to set up his Dark Avengers series, which was also great.) Yet another example of what makes the Marvel universe so great. Captured in one book, only to show up and join a team full of space-based characters in another book. Blastaar and his army storm through the gates into Prison 42. 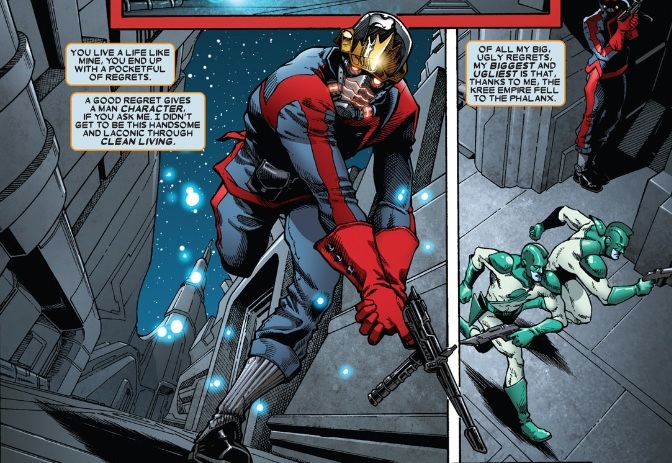 Starlord and Jack Flag do what they can to fight back inside the prison, but they are horribly outmatched. Blastaar sees that Starlord has betrayed him by helping the resistance, and he is not too happy about that. Outside the walls, the Guardians are surrounded by Blastaar’s Negative Zone warriors. They had traced Starlord by his passport signal, which is with his costume, which is not with this body after he was sent into the prison naked. Mantis locates his true location with her telepathy, contacts Cosmo, and has him transposition them to the correct location. 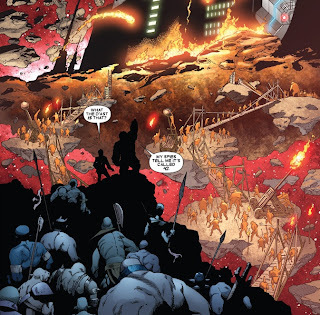 The team teleports in and makes short work of the soldiers surrounding Starlord and Jack Flag. Rocket returns Starlord’s costume to him. 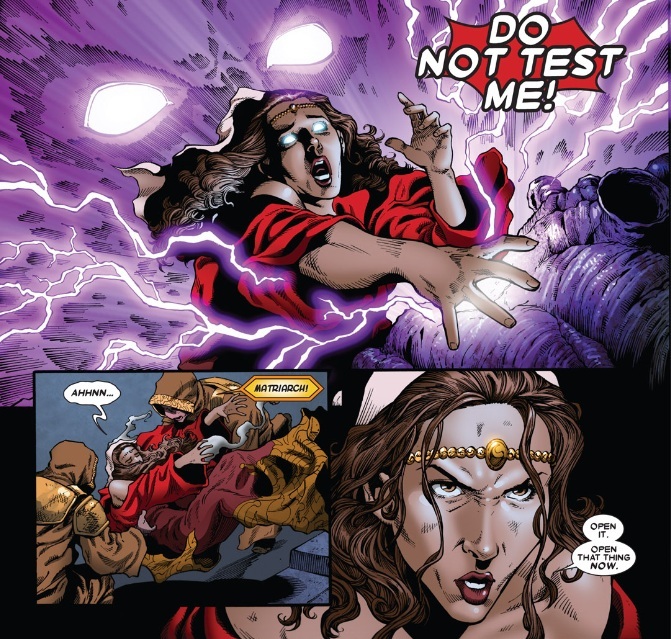 On Sacrosanct, Adam and Gamora meet with the Matriarch of the Universal Church of Truth. Warlock believes he is their messiah, and that they should be worshipping him. In the past few days, he has seen visions, of a War of Kings. He will stop the war, to prove to them why they should believe that he is their true messiah. After he departs, the Matriarch demands to know the truth behind the identity of Adam Warlock. The Adam that she met with has been proven to genetically be the real deal, but the real Adam is supposed to be inside the cocoon they have within their temple. 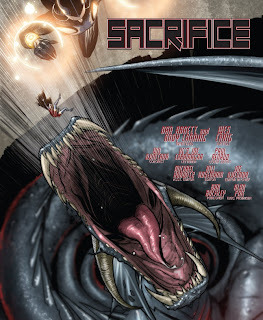 She grabs the outside of the cocoon, and a psychic blast from the cocoon sends her to the ground. She demands that it be opened. 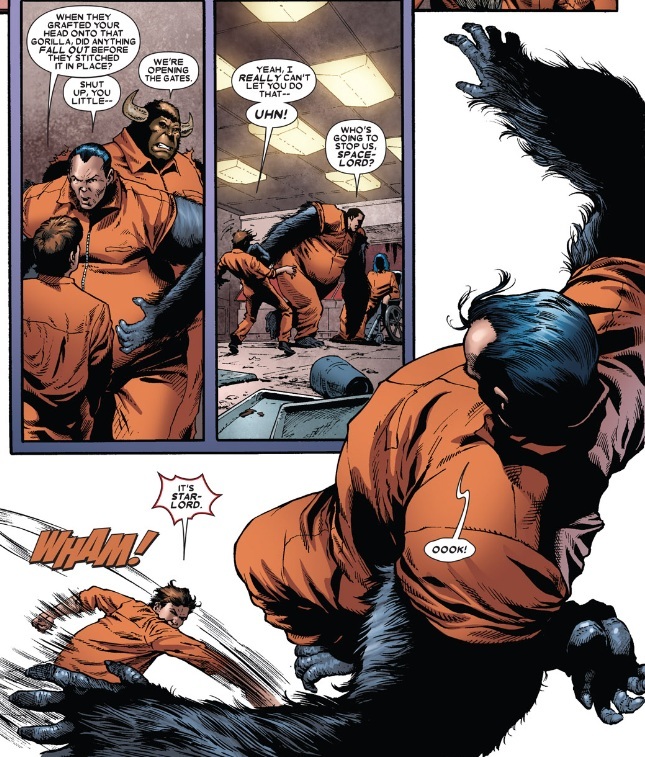 Blastaar and his army have taken full control of the prison. He orders Skeleton Ki to use his powers to open the portal to Earth. On the other side of the portal, Starlord and his team have already escape to Earth, and have convinced Reed Richards to make sure the portal is never opened again. The Guardians return to Knowhere, with Starlord back as the leader of the team. Jack Flag decides to stick around for a while (after getting his back repaired by the medical staff onboard). Phyla wakes up in a strange dreamscape like place. The Quantum Bands fall from her wrists and sink into the sand. 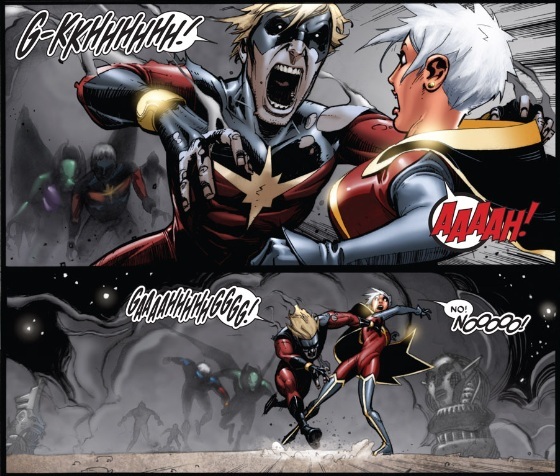 Zombie-fied versions of her father and brother (both of the former Captains Marvel) attack her. Drax arrives in time to help fight them off. He believes they represented ghostly manifestations of her doubts and fears. 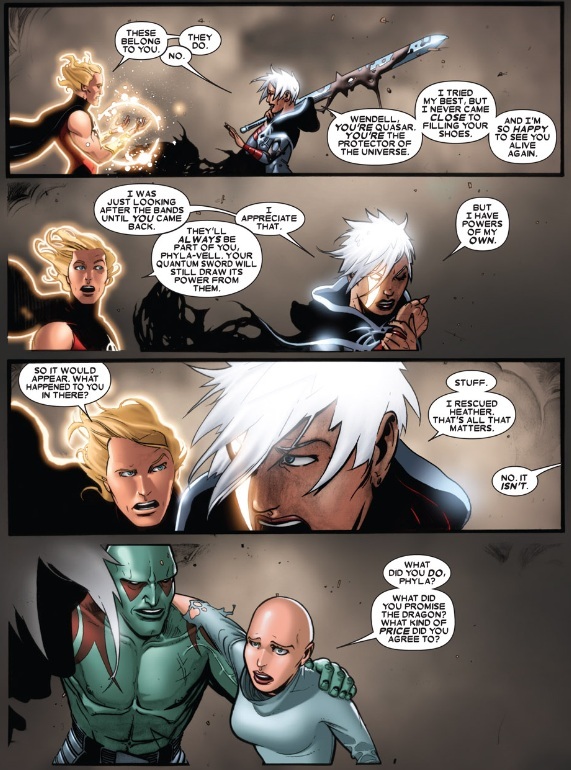 When Phyla asks Drax what happened to them, he reminds her that Mentor killed them. Yet, they are not in the afterlife, heaven, limbo, or any kind of dreamscape that he can determine. Mentor killed them so that they would cross over into wherever it is that they are, and bring back Moondragon. The servant of Oblivion, Maelstrom, appears, and attacks them. Maelstrom was the one that sent out the hints about Moondragon’s survival, to lure them there so that he could use them to escape. An enraged Phyla beats him to a pulp. As they prepare to leave him, Maelstrom assures them that the hints weren’t lies, and that he can take them to Moondragon. He leads them to a giant crater, where inside lies the Dragon of the Moon. 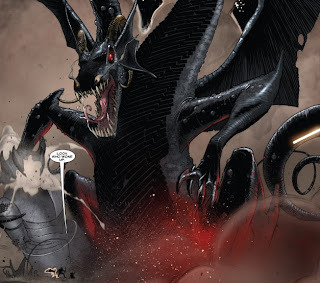 Maelstrom feeds Phyla to the Dragon of the Moon. As he prepares to throw Drax into the dragon’s jaws, from up above arrives the original Quasar, Wendell Vaughn. Wendell was drawn to the bands by the death of their current wielder, Phyla. Without the bands, Wendell is no match for Maelstrom. 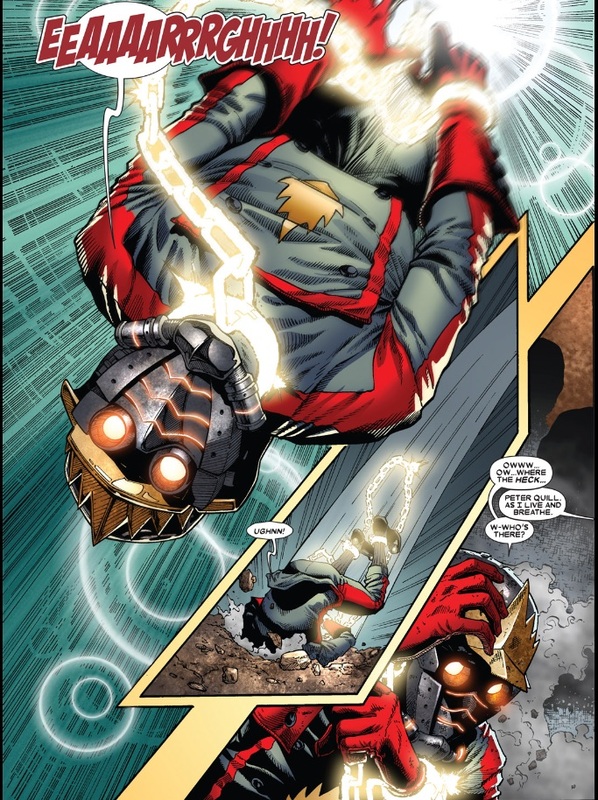 Drax sneaks up from behind and removes the bands from Maelstrom, along with the lower part of his arms. Freed from the grasp of Maelstrom, the bands return to Wendell. Before they can finish him off, their attention is turned back to the Dragon of the Moon, as it comes up behind them. 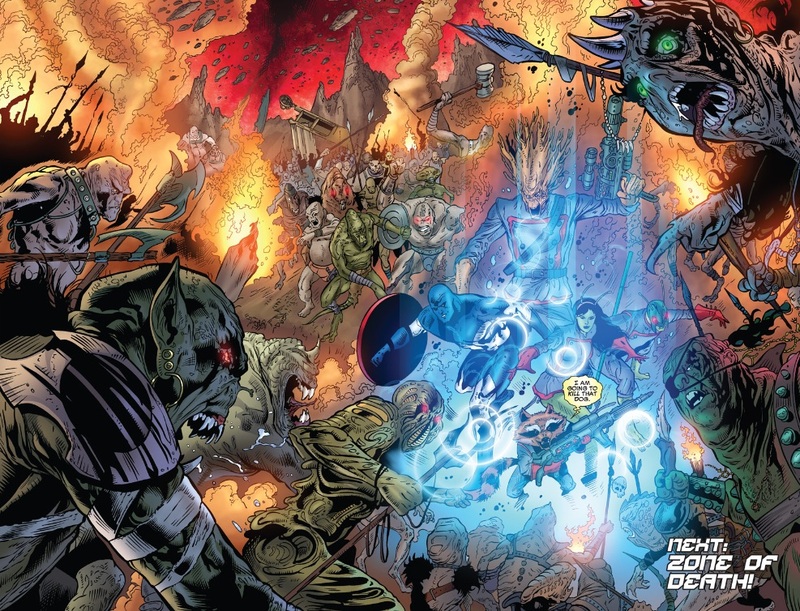 A flash of light explodes from the belly of the beast, followed by Phyla’s quantum sword. A visibly changed Phyla emerges from the Dragon holding the body of Moondragon. Wendell immediately offers to return the Quantum Bands to Phyla, but she declines. (This marks the return of Wendell to the role of Quasar. Hooray?!) A recovering Moondragon asks Phyla what she promised to the dragon to free the both of them. What price did she pay? 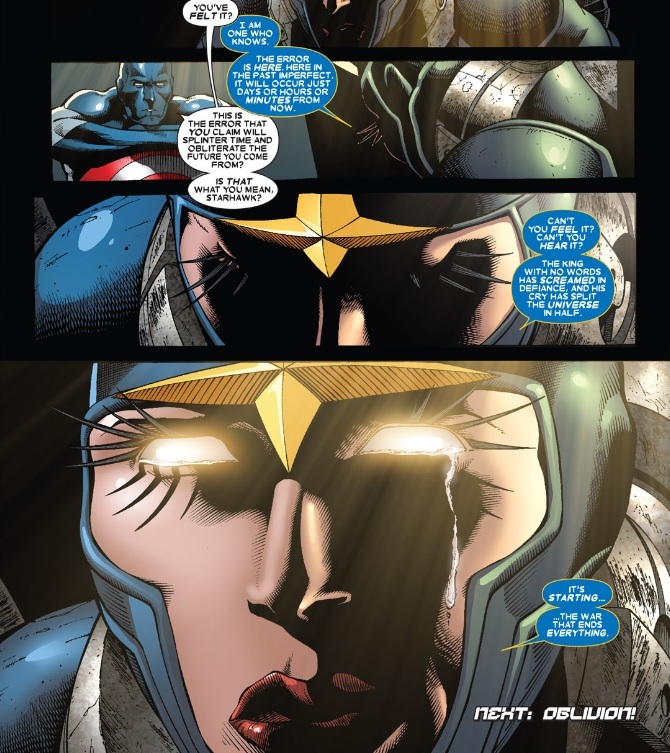 Phyla dodges the question by giving her a big kiss. 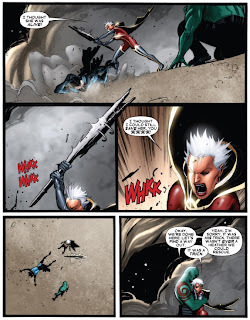 With Maelstrom having disappeared, now all they have to do, according to Moondragon, is simply wake up. They wake up back on Titan. After briefly cursing Mentor for killing them, they all divert their focus to the newly reborn Moondragon, inhabiting yet another cloned body. 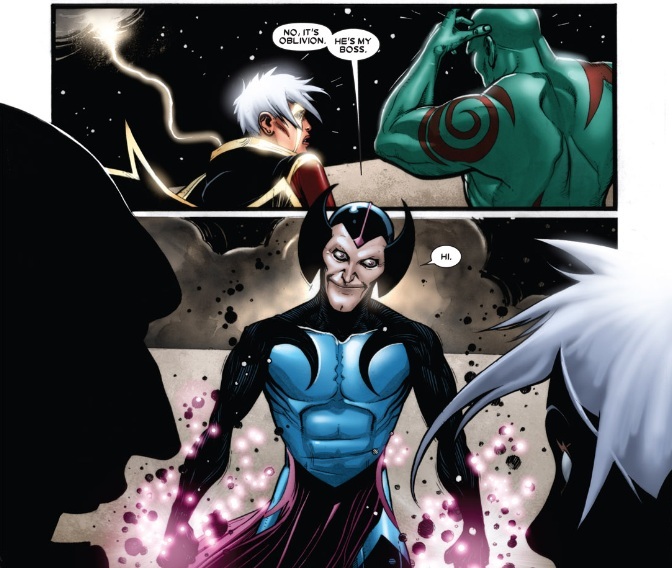 After hugs all around, Moondragon again asks Phyla what deal she made with the Dragon of the Moon. 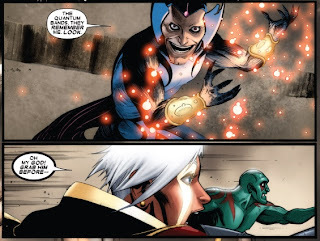 Back in Oblivion, Maelstrom pulls his arms back together, and places down a new (symbolic) game piece of Phyla-Vell. 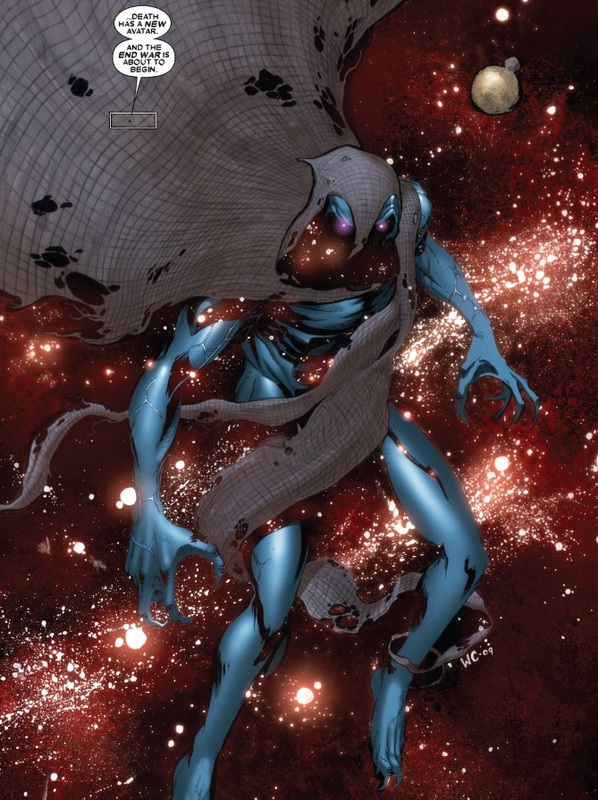 My brain thoughts: Phyla becoming the new avatar for death is an interesting new twist, and holds a lot of potential for future stories. Her becoming Quasar didn’t seem to have much of an effect on how interesting she is as a character. Much like the original Quasar, who makes his return in this issue as well. (As much crap as I give ole’ Wendell, he actually hasn’t been that bad since he popped back up at the beginning of the first Annihilation.) 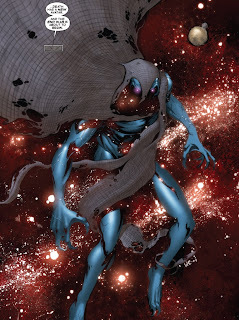 Phyla was one of my least favorite Guardians when I first read the series, but this second time through I’ve really enjoyed her a lot more. They could have easily had her moping around after Moondragon “died,” but she didn’t do that at all. My final brain thoughts: Carrion beatings, Warren Ellis, men with ape bodies, severed arms, the return of Wendell, and 100% no Marv Wolfman. Starlord returns as the leader of the Guardians after a brief adventure on his own, and brings along a new friend. Drax and Phyla successfully bring back Moondragon, and the original Quasar, but fail to find Cammi (just like I knew they would!). 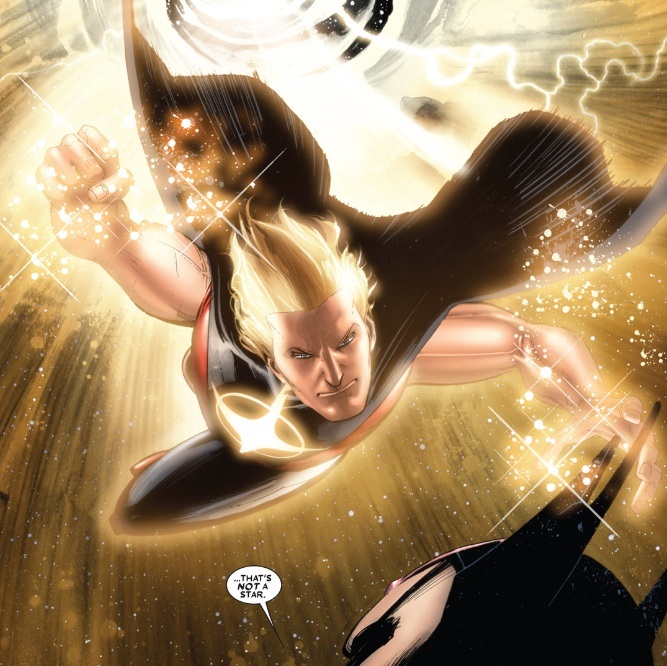 Adam Warlock (Duy here. Ben spelled "Adam Strange" again. DC's space hero has a subliminal effect, since he shows up every time something happens in DC space.) moves closer to his destiny. There wasn’t a whole lot of Bug or Rocket Raccoon in this stretch of stories, but there was absolutely no Tobey Maguire, so the universe remains in balance. War of Kings looms on the horizon. 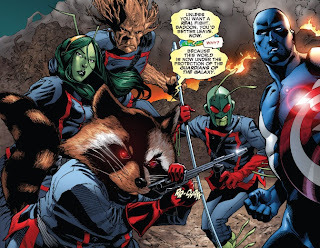 Will it derail the Guardians of the Galaxy book, or is the book just too awesome to let anything throw it off course? Come back next time, and let’s find out.